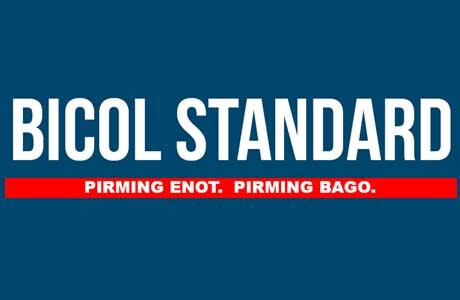 LEGAZPI CITY 1/9/18 (Bicol Standard)--The Department of Science and Technology Regional Office 5 is currently in need of a qualified applicant to fill the vacant position of Site Engineer (Project-based) for the project "Field Testing of the Integrated Gold-Copper Mineral Processing Pilot Plant in Bicol." The Site Engineer will be directly reporting to the Project Coordinator and will be in charge of the supervision of the daily construction activities. He or she will ensure that technical elements specified in the plans are carried out properly. He/she will also check work quality. Preparing daily, weekly, monhtly, and quarterly accomplishment reports; checking and validation of contractor's request such as concrete pouring requests, variation orders and preparation of estimated bill of materials; validating of material delivery and inventory output; initiating meeting with contractor and other concerned parties as needed; monitoring of timeline of activities; monitoring the safety and security within the project site and documentation of daily site activities. Single, 25-35 years old, licensed civil engineer, with at least 1 year construction experience, knowledgeable in quantity surveying (Bill of Materials/Cost Estimates), proficient in MS Office, knowledge in CAD is a plus, willing to relocate in Jose Panganiban, Camarines Norte, and can work with minimum supervision. Interested applicants may submit the requirements enumerated below, personally or via e-mail on or before 24 January 2018. only those with complete requirements will be entertained. Required are the following: Letter of Application, resume with latest 2x2 ID picture, certified copy of diploma, transcript of records and PRC license, certificate of trainings/seminars, and awards, if any, and certificate of employment. Please send your letter of application with complete documentation to Mr. Tomas B. Brinas, CESO III, Department of Science and Technology 5, Rawis, Legazpi City, e-mail address dost_ro5@yahoo.com.